NASA leaders are out to cause anarchy and division before and after the repeat polls next Thursday, Water CS Eugene Wamalwa has said. 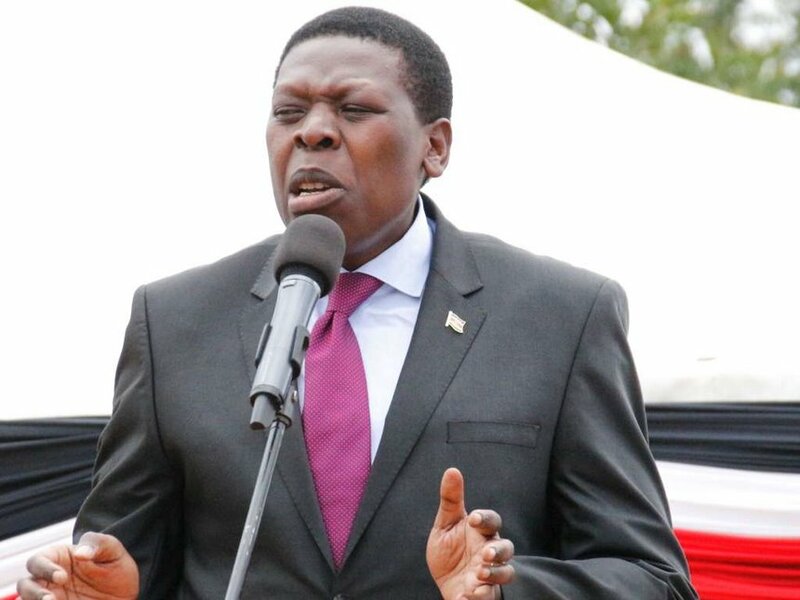 Wamalwa accused the Opposition of inciting Kenyans to hold unlawful protests and issuing statements likely to cause violence. He noted the country cannot be divided into two because of a few people’s greed for power. The CS spoke on Monday during the launch of an NYS Kazi Kwa Vijana programme in Busia. He was with Bumula MP Moses Mwambu and his Kimilili counterpart Didimus Baraza. The programme will employ 900 youths aged 18 to 35 years for six months. Several leaders led by President Uhuru Kenyatta and DP William Ruto have criticised NASA principals led by Raila Odinga for their demands for the election to take place on October 26. The demonstrations have been characterised by killings and injuries in parts of Nairobi, Kisumu and Siaya counties. Raila, his running mate Kalonzo Musyoka (Wiper), Bungoma Senator Moses Wetang’ula (Ford Kenya) and Musalia Mudavadi (ANC) have said they are willing to pay the price for credible election processes. They say they want to improve Kenyans’ lives and end vices associated with past regimes.